Metal bar, workbench, hacksaw/metal saw, vice, ruler, marker, piece of paper, file, wood block, hammer, something round shaped. I wanted to make a metal collar but didn't had all the required tools. So I asked my father to help me, it ended up that he did everything, I just took pictures. Thanks dad! 1. Measure the length (35 cm in my case) and mark it. 2. 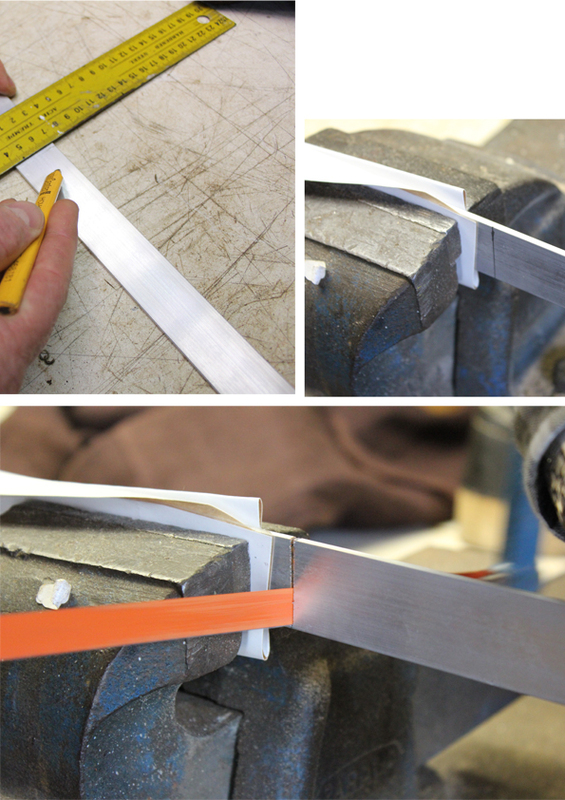 Secure your metal bar into a vice, surrounded with a piece of paper for protection. Saw at the length you've marked down, using the hacksaw. 3. 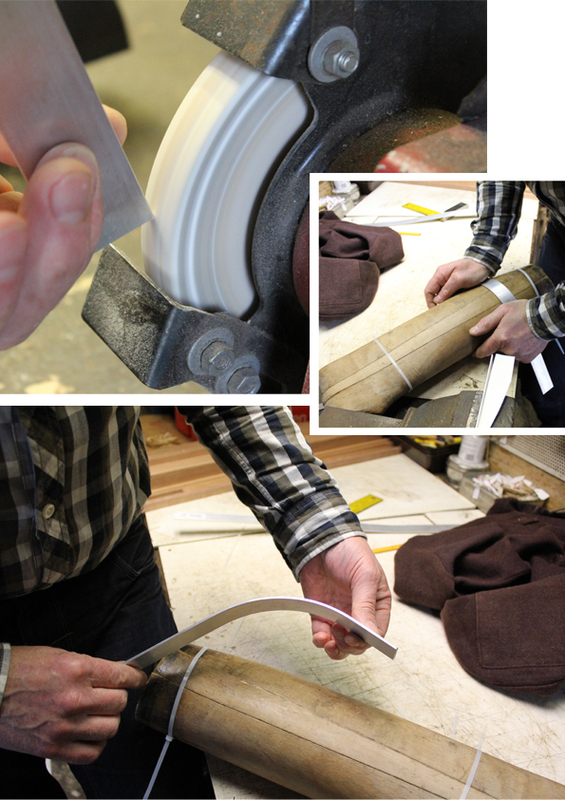 File the ends to make it smooth and stump. 4. 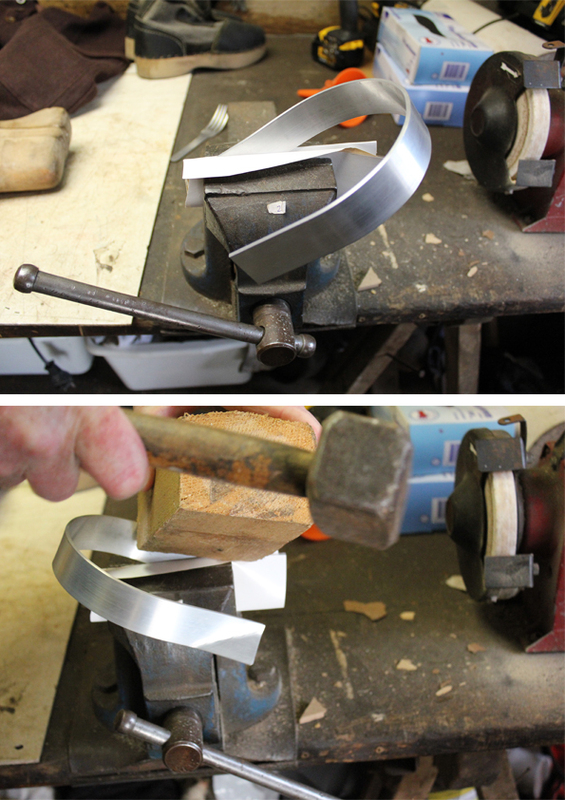 Bow the metal bar into a round shape by putting pressure on a round surface. My father used wooden boot spanners, but a firm container or even a lamppost would probably be fine as well. 5. By now you should have some sort of 'headband shaped' metal bar. To make the edges look more like a collar you should bow the tips. My father used a wood block and hammer as you can see in the pictures. Please make sure you don't hammer to hard, because you can break or damage the metal. Good luck, give it a try! Your dad was great to make this one for you! It's amazing!! Echt heel erg mooi. Ziet er heel erg gaaf uit als je hem om hebt! Wow, that looks pretty cool! That looks os pretty. I really like it. Haha, my dad is the same. I wanted to make some rings and cuffs a few months a go and he ended up making everything for me in his workshop. He had his welder out and everything. Haha. I think he secretly enjoyed it. 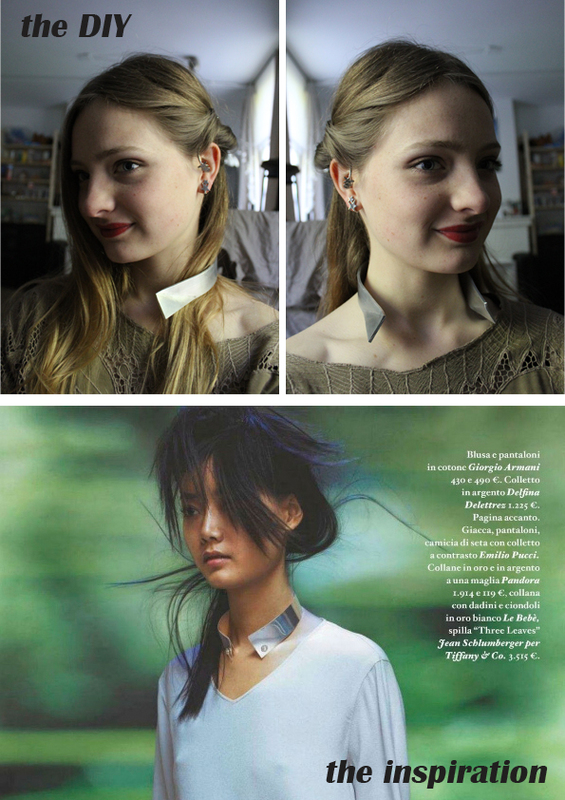 I love this DIY, even though it looks pretty complicated... but the result is impressive, so it's worth all the effort!